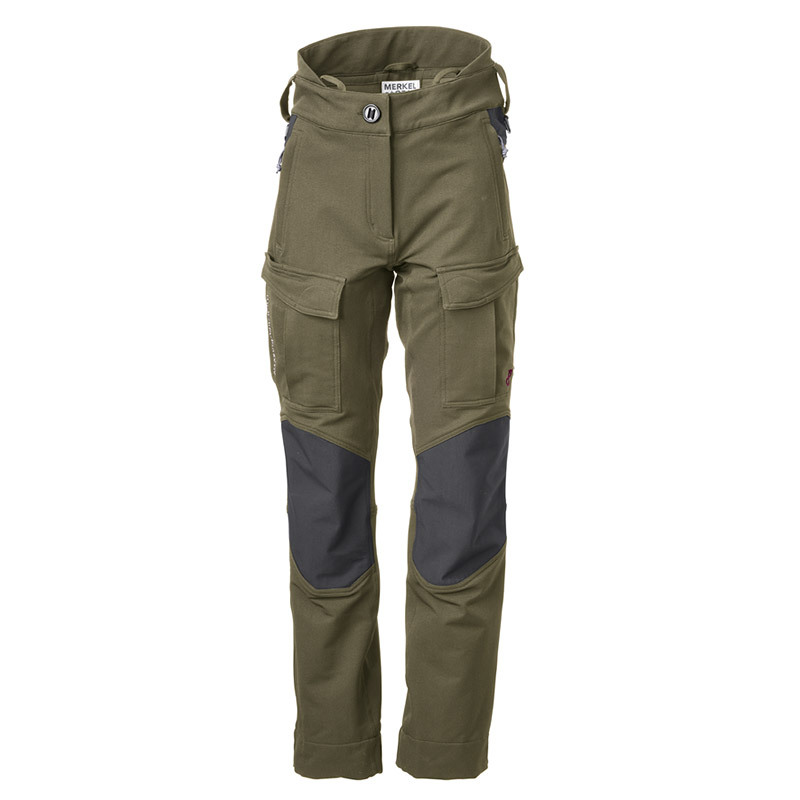 The Palearctic MNTN (Mountain) Trousers are the all-season trousers for the ambitious mountain hunter and game stalker. 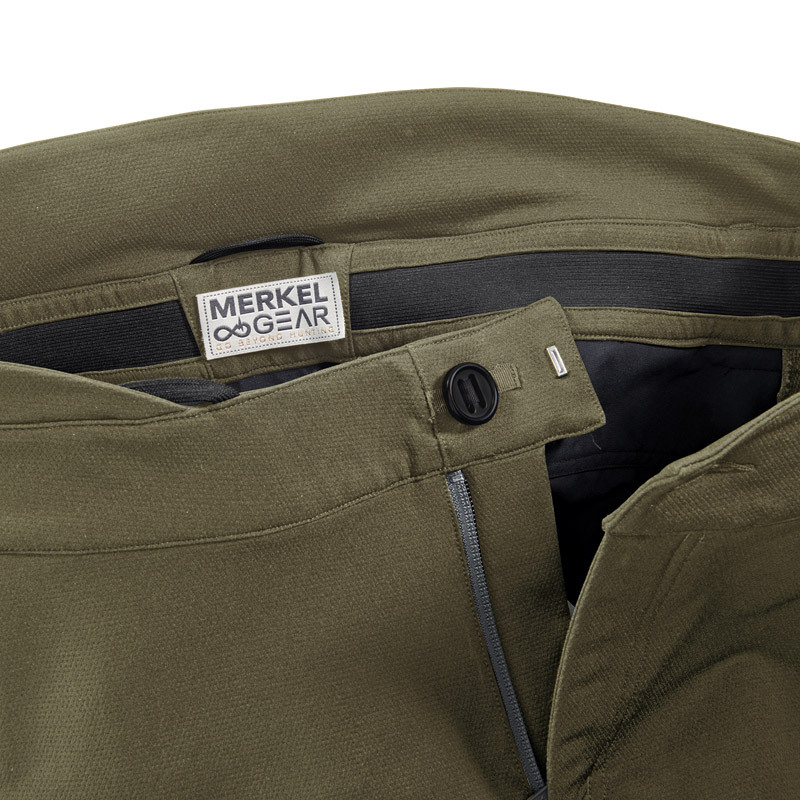 Specially designed for Merkel GEAR, the breathable, cross-elastic and extremely robust 37.5TM-Double-Weave stretch fabric in combination with waterproof, breathable knee and backside parts made of robust, high-strength Oxford-nylon (37.5-technology), make these trousers the unchallenged workhorse for the rough hunting ground routine. Numerous useful details paired with the innovative MaxComfort waistband system and a fantastic cut – all together result in a type of trousers more comfortable and suitable than any other you may know. 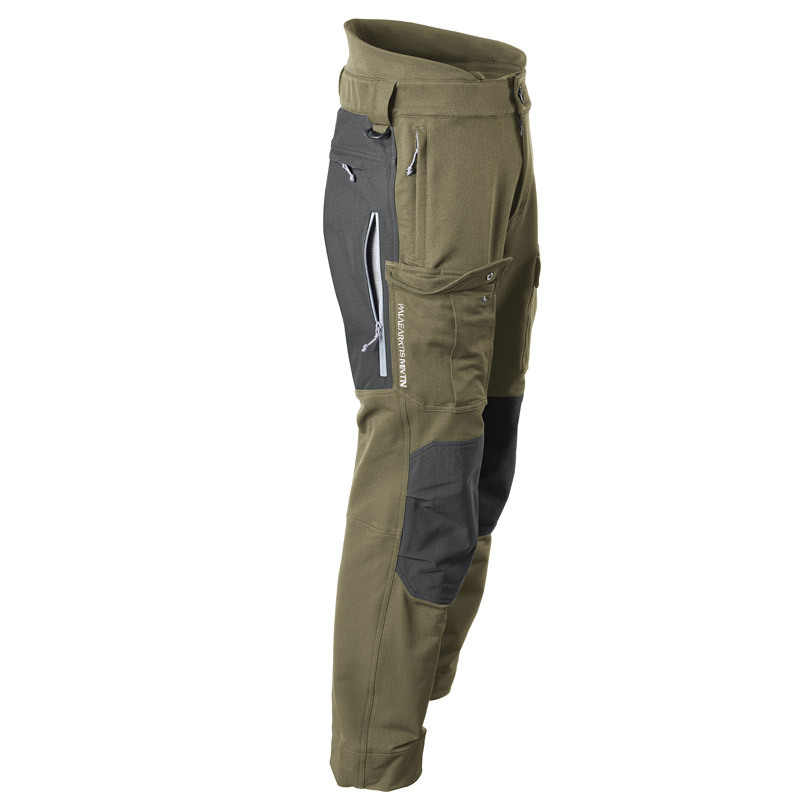 Whether for stalking wild hogs at night or for hunting the New Zealand Tahr – you will hardly find better trousers for active types of hunting. 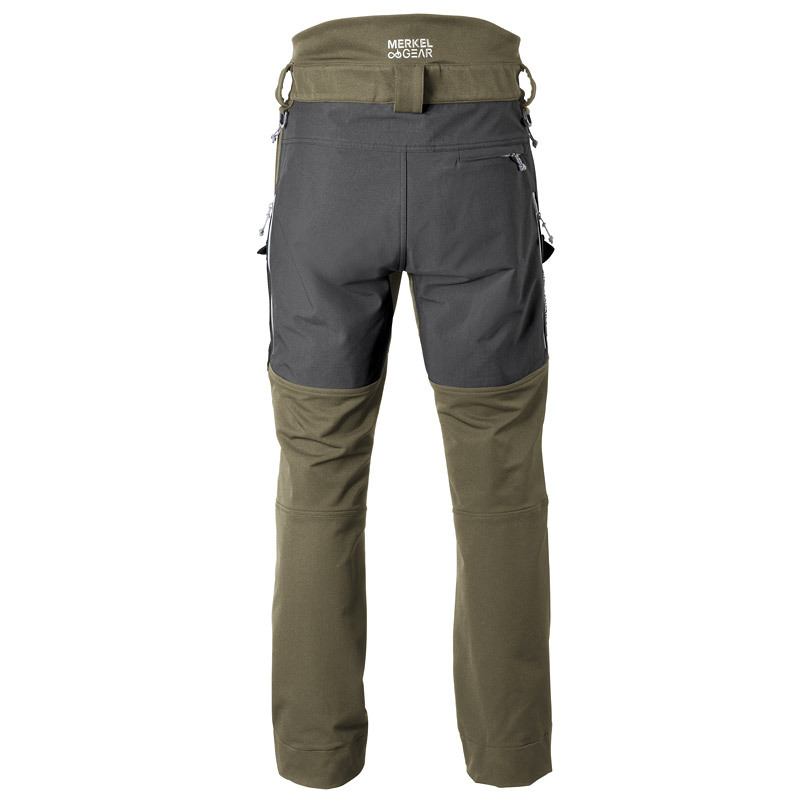 Casual like outdoor trousers, yet cut wide enough with double pre-shaped knees and anatomically optimally placed cargo pockets, what astonishes most is the strong stretch material thanks to its fine rhomboid structure with highest wear comfort. 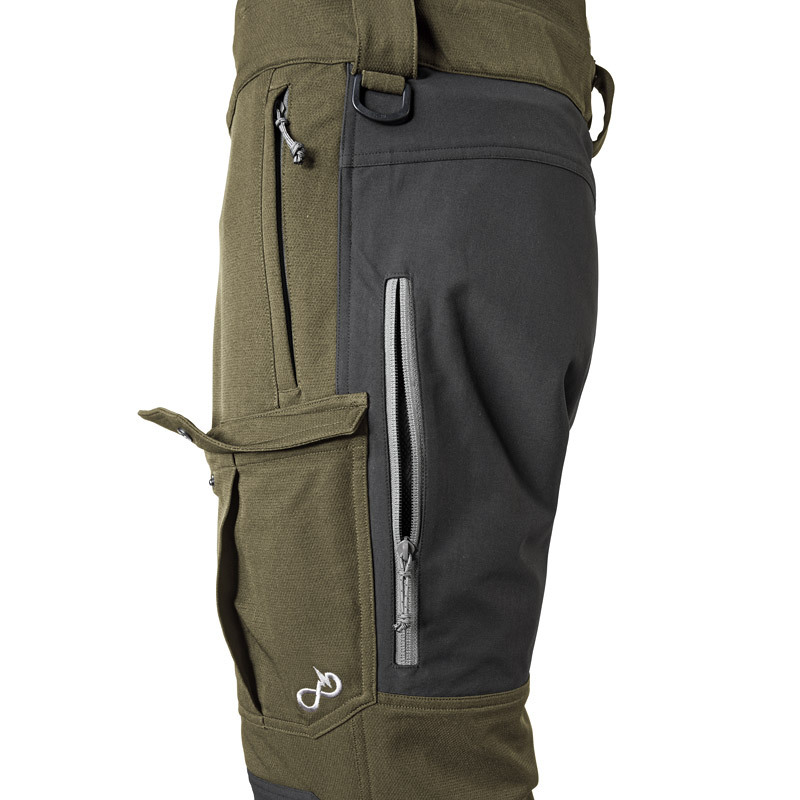 Core element, however, is the waistband: extra wide and padded with distance tissue. With integrated soft hooks for optionally available suspenders and belt loops, that are sufficiently large dimensioned. This is crowned by the kidney protection, which encloses the body like a second skin. The trouser button is an easy-to-grab, very long-lasting loop button with a diameter of 2.5cm and is secured by an additional metal hook. The left belt hook holds a strong D-ring. 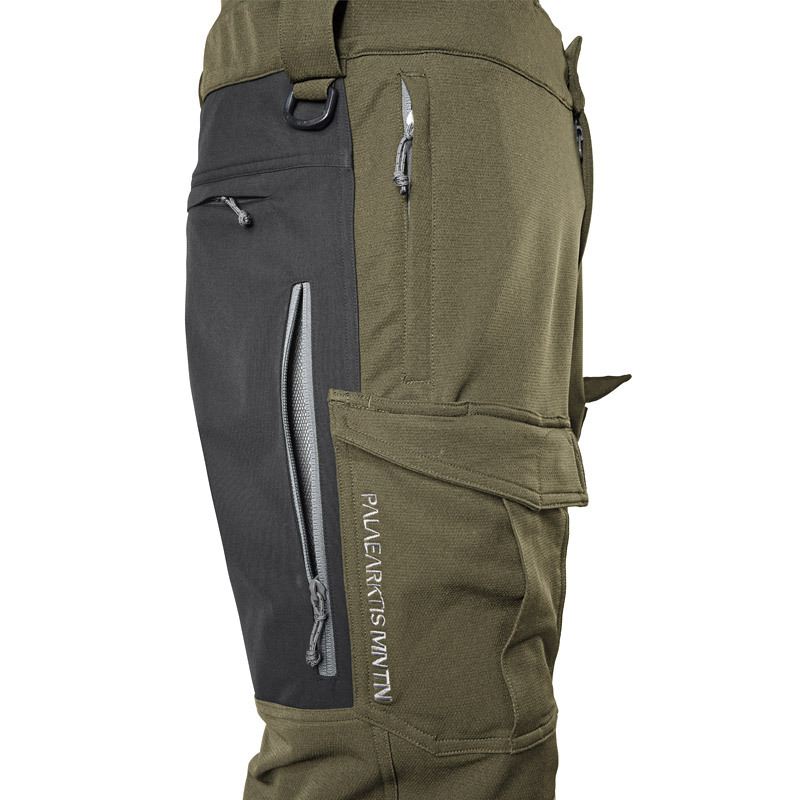 The trousers have two lateral insertion pockets and one back pocket – each with strong pocket pouches. 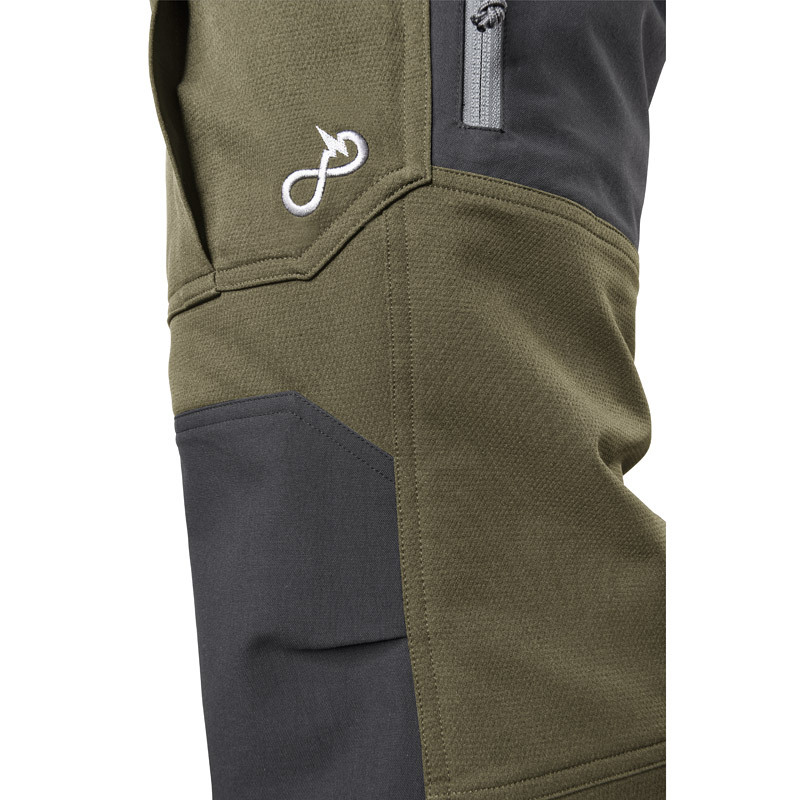 The cargo pockets are lined with soft loop fabric, to which the provided cartridge patches can be attached. 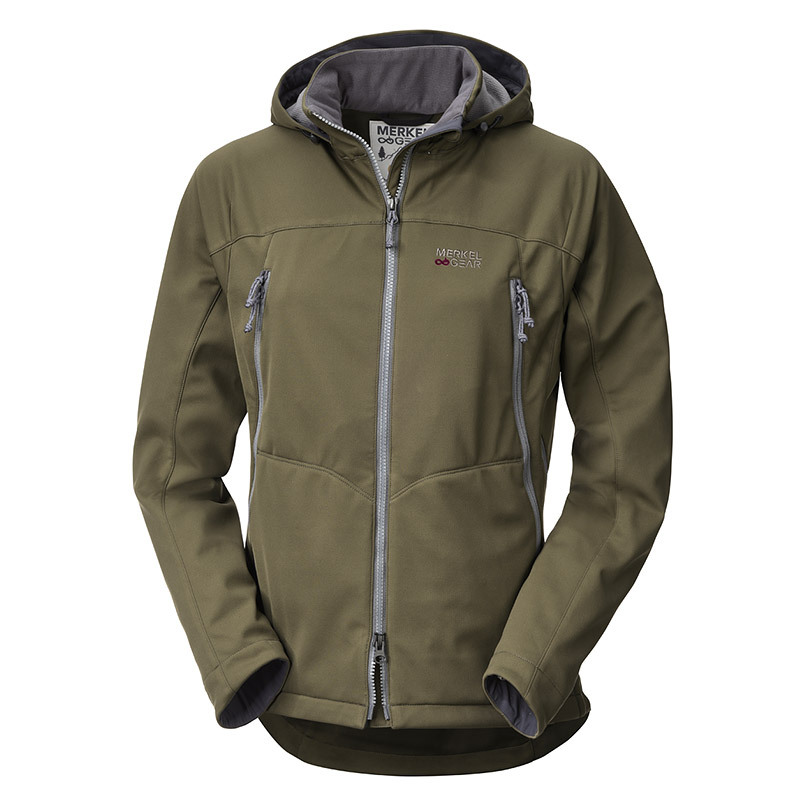 The right cargo pocket additionally has a generously cut Nicker-pocket. 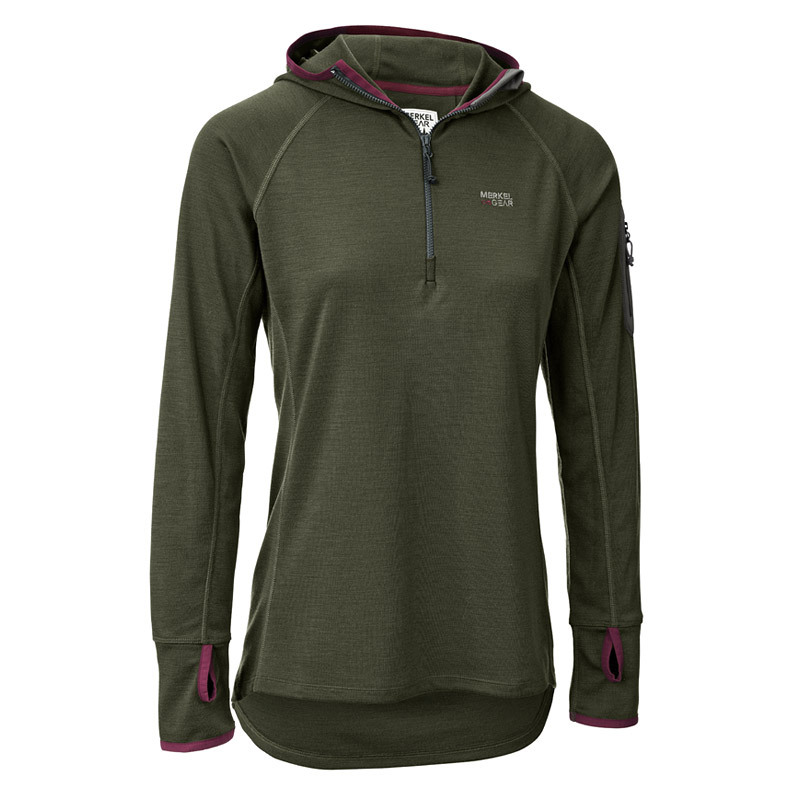 Long lateral ventilation zippers, on the same level as the waterproof patches, allow for quick and easy ventilation when necessary. 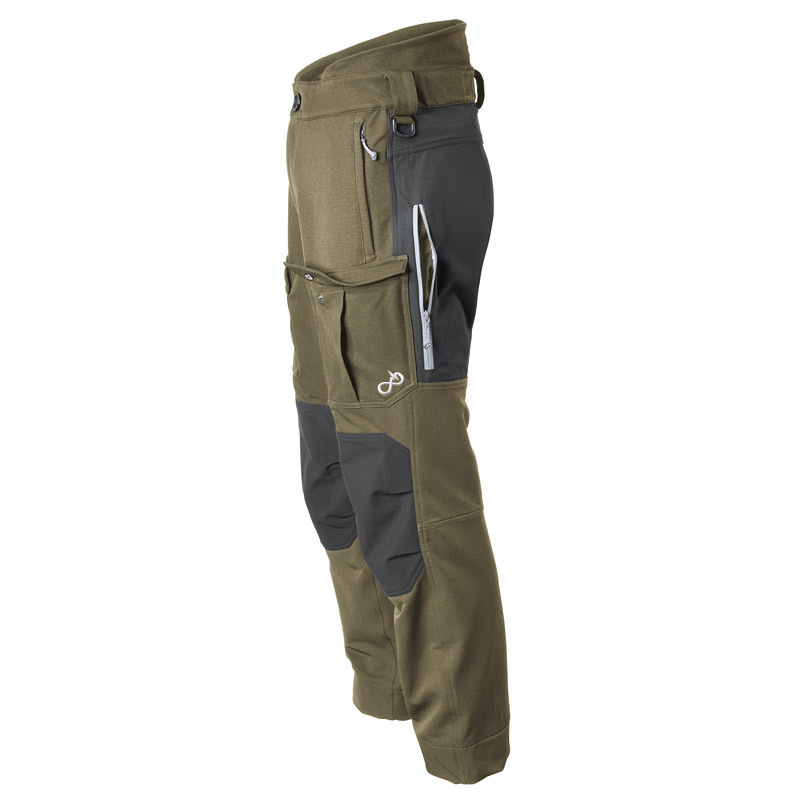 The leg endings of the trousers have integrated inner gaiters, made from strong stretch material to protect against snow and ticks, are equipped with a strong boot hook each, which disappears inside a cloth flab if not needed, e.g. for comfortable wearing of rubber boots. 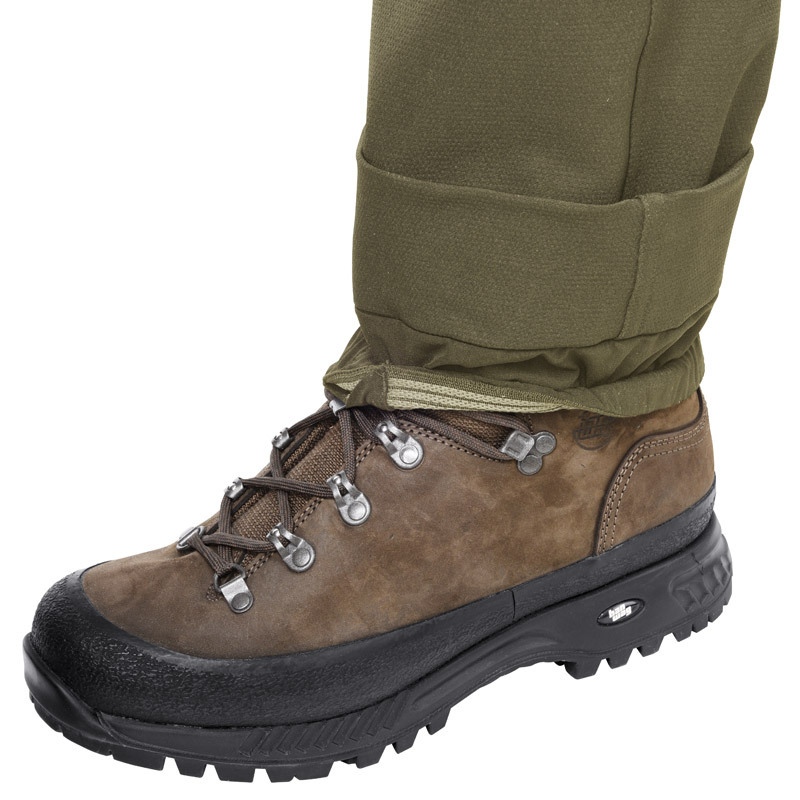 All seams of the Palearctic MNTN trousers are reinforced strong double-seams of heavy-duty-yarn.